Have you noticed and checked out the links to various sponsors on the left? Well... it is time to give them all a little shout out. Have you been to Julia's gorgeous blog and etsy shop? 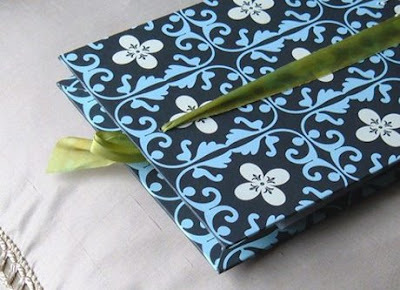 She sells beautiful journals and paper products which you can see more of here. The above journal is my favorite. 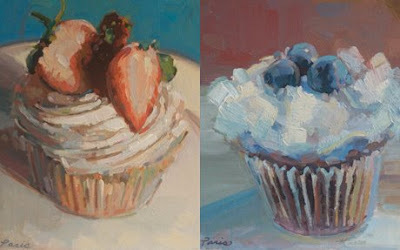 Paris has some new paintings available which are utterly scrumptious. I want to devour them all up. Great prices too! Kim at Good Stock always has a great book project up her sleeve. Looking for a way to have those photographs and memories put together in a snap? 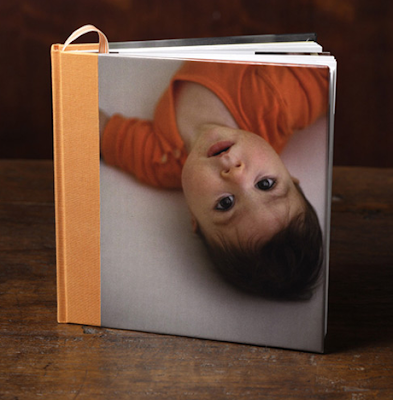 Check out Good Stock's line of custom book options. I am loving what Kate has been up to lately. 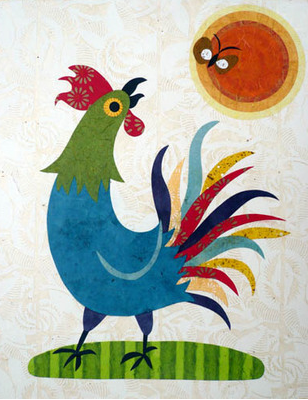 Isn't this owl family and rooster adorable? Check out her great pieces for sale here. 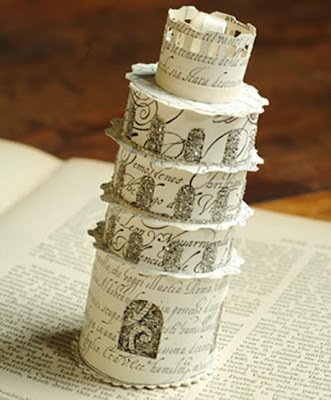 The extremely talented and busy Denise constantly amazes me with her clever posts on her blog, as well as her incredible paper creations which you can see here. Her creations would be a great gift or detail item for a party or wedding. *If you are interested in becoming a sponsor, there are a variety of options suited for your needs. Drop me a line at blackeiffel@gmail.com for ad rates and availability. Please make sure your company aesthetic suits black eiffel. Thank you. we love paris gerrard and denise sharp! thanks for introducing us to them, Rachel!